Stener Thorsen, of Poulsbo, Washington, was part of the "Viking" contingent to represent his community in the Norway Day parade at the 1909 Alaska Yukon Pacific Exposition (AYPE) in Seattle. See the explanatory blog entry for this series: Poulsbo Vikings at the Alaska Yukon Pacific Exposition, 1909. Stener [Stenar] Thorsen was born in about 1850 and immigrated to the U.S. from Heidalen, Gudbrandsdalen, Norway in 1869, together with his three brothers: Iver, Paul, and Ole. Stener and his wife, Ragnild, were married in about 1879, the year after Ragnild arrived in America. 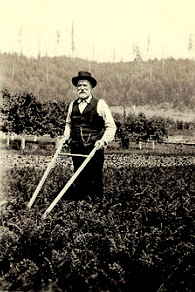 A Poulsbo pioneer, Thorsen was one of two earliest settlers in Big Valley, on Valley Road, about a mile north of the town of Poulsbo, Washington. Deeds owned by a friend and neighbor, Fred Frederickson, show that Thorsen had his property as early as 1879. Being in all probability the first settler in the valley, perhaps that is why he won the AYPE "Viking #1" position in the 1909 photographs. Thorsen was a logging operator, and the land he chose was optimally situated near the head of Liberty Bay, which allowed easy access for loggers who needed to float out their logs. He developed an extensive farming operation, and maintained a large market garden on his farm. Thorsen's produce included an acre of oxheart carrots that were marketed at the company store in Port Gamble, or peddled to ships waiting in the bay to take on lumber. He also raised potatoes, and picked from cherry trees on his property during market season. Stener Thorsen was a community minded man, as many early Norwegian-American settlers were, and he often served as an official in precinct elections. He also took an interest in the state of Poulsbo's schools, church, and roads. He died on September 28, 1931, the day before his 81st birthday, and was buried at the First Lutheran Church Cemetery in Poulsbo, Washington. to Ancestry.com by member "boggiedog7" on April 27, 2008. --Driscoll, Judy and Sherry White. Poulsbo, Images of America series (Arcadia Publishing: Charlestown, South Carolina, 2013). 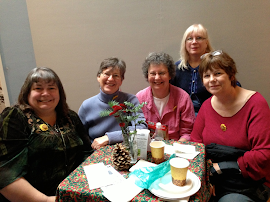 --Poulsbo Centennial Book Committee. Poulsbo: Its First Hundred Years, compiled and edited by Rangvald Kvelstad (Centennial Book Committee: Poulsbo, Washington, 1986). --U. S. Federal Census, Poulsbo, Kitsap, Washington, 1910. --U. S. Find-a-Grave, Stener Thorsen.